In this interview, Christian Hilber explores a recent global phenomenon: the surge of investment in second homes and the subsequent political backlash against wealthy investors. Building on his research, he discusses the causes of the surge, the consequences, and possible cures. Hilber is Professor of Economic Geography at the London School of Economics. Hites Ahir: As you know, there has been a surge in second home investments across several countries. This refers to investment in property that is not used as primary residence, a house bought for leisure or investment purposes or a mix of the two. Could you give us some numbers that show how big is the investment boom in second homes? Christian Hilber: The data are patchy but it appears the surge emerged in the mid-1990s. It has been more moderate in some countries, rather dramatic in others. The US or Canada belong to the former category: Between 1995 and 2005, the number of second homes increased by 20% and 22%, respectively. The UK or China belong to the latter category. The number of second homes in the UK has more than doubled between 1995 and 2013. In China, the number of investors surged from 6.6% of urban households in 2002 to 15% in 2007. Hites Ahir: What explains this surge in second home investments? Christian Hilber: A staggering amount of wealth accumulation among a growing cohort of ‘top earners’ certainly contributed. As housing is a normal good, a rise in income and wealth implies greater housing demand. And one way this manifests itself at the top end of the income and wealth distribution is growing consumption of second homes. But housing is also an investment good: A growing cohort of wealthy implies more investment in second homes. A lack of attractive alternative investment opportunities further reinforces the surge. Hites Ahir: What have been the consequences of this development? Christian Hilber: The surge in second home investments has triggered a serious political backlash in many countries. Some countries such as the UK and cities such as Vancouver introduced substantive transaction taxes on the purchase of second homes, others, such as touristic places in Switzerland or St. Ives in Cornwall, banned new second home investments altogether. Hites Ahir: As you know, there is a growing recent literature that focuses on the role played by residential real estate investors in housing markets. Could you give us a brief summary of this literature? Christian Hilber: The emerging literature can be divided into two strands. The first explores the role of speculative real estate investors during the last US housing boom and bust. Haughwout et al. (2011) find that investors were overrepresented in booming states, were prone to misreport their intentions to occupy their property, bid more aggressively during the boom, and defaulted at a much higher rate than owner-occupiers during the bust. Chinco and Mayer (2016) provide evidence that it was out-of-town second-house buyers rather than locals who behaved like misinformed speculators. Bayer et al. (2015) establish a causal link between speculative investor behavior and housing price booms. The second strand focuses on international second home investments in superstar cities such as Paris (Cvijanovic and Spaenjers, 2015), London (Badarinza and Ramadorai, 2016; Sá, 2016), or NYC (Suher, 2016; Favilukis and Van Nieuwerburgh, 2017). In a nutshell, what these studies find is that investors, who possess a ‘home bias abroad’, concentrate in specific (desirable) areas, thereby increasing local house prices and transaction volumes very locally. Favilukis and Van Nieuwerburgh (2017) investigate the welfare effects. They find that higher levels of out-of-town buyers are associated with higher house prices and lower welfare. However, taxing purchases made by foreign investors can lead to welfare gains to the extent fiscal revenues are used to finance local public goods. Hites Ahir: You have a working paper on The Housing Market Impacts of Constraining Second Home Investments with Olivier Schöni (University of Bern). What gaps your paper fills within the existing literature? Christian Hilber: We provide a theoretical framework that illustrates the various theoretical mechanisms at play and reveals under what conditions we should expect constraints on second home investments to have positive or negative effects on local housing and labor markets. The main contribution however is empirical in nature. Exploiting a unique quasi-natural experiment in Switzerland, we are able to identify the causal economic impacts of constraining second home investments. Hites Ahir: In your paper, you discuss the Second Home Initiative? What is it? Christian Hilber: Initiatives are an instrument of direct democracy that allow Swiss citizens to modify the country’s constitution. Initiatives must be approved by the majority of voters and cantons. The Second Home Initiative (SHI) requested that construction of new second homes is banned in municipalities where such homes represent more than 20% of the total housing stock. The SHI was approved by the narrowest of margins—50.6% of votes and 13.5 of 26 cantons—in March 2012. It came into force in January of 2013. Voters in touristic municipalities with very high shares of second homes were heavily opposed (see Figure 3), presumably due to fears about adverse effects on the local economy. This is in contrast to voters in the larger cities who favored the initiative. 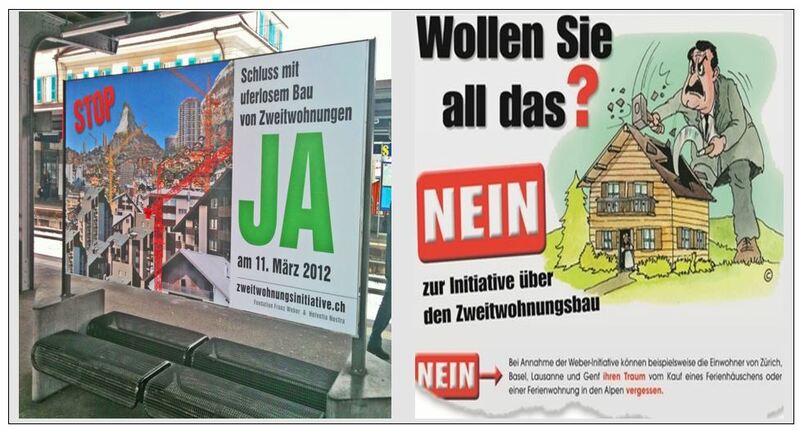 Sources: www.zweitwohnungsinitiative.ch and INFOsperber. Yes-Campaign: We must stop setting our landscape in concrete vs. No-Campaign: Approving initiative would destroy your dream of second home. Hites Ahir: Intuitively, can you walk us through the mechanisms of how a constraint on second home investment affects the price of primary and second home? Christian Hilber: Various mechanisms are at play simultaneously. A constraint on new second home investments may help preserve the landscape and ‘character’ of a locality. This ‘amenity effect’—and its anticipation—should be positively capitalized into property values. Of course, a constraint (ban) on new second homes also makes the supply of second homes very (perfectly) price-inelastic. This should raise the price of second homes, all else equal. But then there is also what we call a ‘local economy effect’: A constraint may adversely affect local construction and other local economic activity—importantly tourism. This will lower prospective earnings and may increase unemployment. This in turn will adversely affect local demand for and the price of primary homes. In a setting where primary and second homes are perfect substitutes, it is theoretically ambiguous whether the positive or the negative effect dominates. It depends on their relative importance. 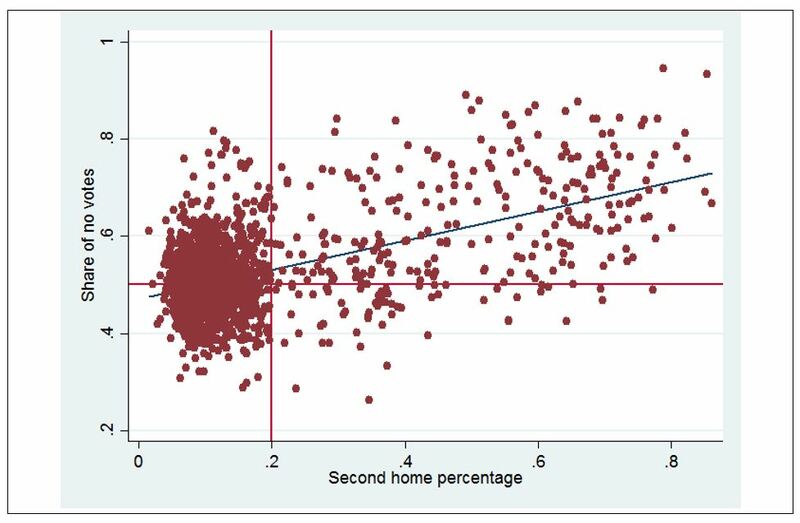 If primary and second homes are poor substitutes, then the price effects can go in opposite directions: positive for second homes and negative for primary homes. Hites Ahir: What are the main findings from your paper? Christian Hilber: We find that banning second home investments in desirable Swiss tourist locations lowered the price of primary homes (adversely affecting local homeowners), increased the price of second homes (further raising the wealth of existing second home investors), and increased unemployment rates (harming immobile local workers), compared to those locations that were not affected by the ban. These findings suggest that the negative effect on local economies dominated the positive amenity-preservation effect. It also suggests that constraining second home investments may reinforce rather than reduce wealth inequality. Hites Ahir: How should policymakers deal with the surge in second home investments? Christian Hilber: The political backlash against second home investors is partly driven by legitimate concerns such as ever more unaffordable housing, destruction of beautiful landscape or creation of ghost towns during large parts of the year. But banning second home investments or even transaction taxes are the wrong answer. If the primary goals are to make housing more affordable, prevent vacant homes and ghost towns, generate more local tax revenue, and reduce local wealth inequality, then an annual local tax on the value of second homes (or better even: the value of their land) would be a much superior policy response. It wouldn’t be a ‘free lunch’ though, as the local tourism and construction sectors and their workers are still bound to suffer. More generally, second home investors—especially foreign ones—are often really just a popular scapegoat. In England, for example, the housing affordability crisis is predominately driven by an extremely inflexible and dysfunctional land use planning system and a tax system that provides virtually no incentives to local authorities to permit residential development. Banning second home investments or imposing transaction taxes on second home purchases may be politically popular policies in the short-run. But they don’t do anything to cure the underlying problems. Hites Ahir: What kind of questions you would like future research to address on this topic? Christian Hilber: Data limitations prevented us from exploring the impact of constraints on housing rents, homeownership attainment, or particular industries. Future research will hopefully be able to shed some light on these open questions. Moreover, less-recent quasi-natural experiments could tell us something about long-run sorting effects. More generally, while our research focused on highly touristic areas, the backlash against second home investors is also prevalent in superstar cities, where the local economy effect may be comparably less important. Exploiting a quasi-natural experiment in a superstar city (such as the massive transaction tax imposed in Vancouver) could provide valuable insights in a different setting. 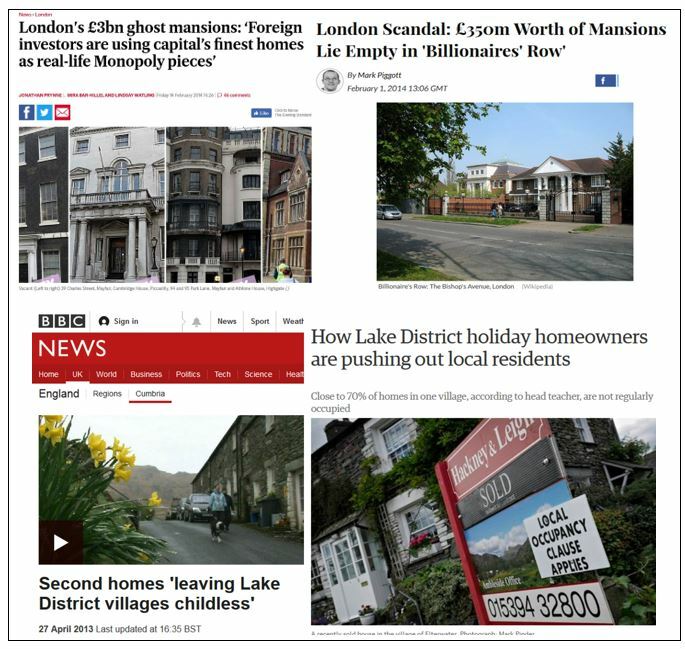 Exploring the political economy of the backlash against second home investors might be another fruitful avenue for future research. Badarinza, C., Ramadorai, T. (2016). Home Away From Home? Foreign Demand and London House Prices. Working Paper. Bayer, P., Geissler, C., Mangum, K., & Roberts, J.W. (2015). Speculators and Middlemen: The Role of Intermediaries in the Housing Market. Economic Research Initiatives at Duke (ERID) Working Paper No. 93. Chinco, A., Mayer, C. (2016). Misinformed Speculators and Mispricing in the Housing Market, Review of Financial Studies 29(2): 486-522. Cvijanovic, D., Spaenjers, C. (2015). Real Estate as a Luxury Good: Non-Resident Demand and Property Prices in Paris. HEC Paris Research Paper No. FIN-2015-1073. Favilukis, J.Y. and Van Nieuwerburgh, S. 2017. Out-of-Town Home Buyers and City Welfare. CEPR Discussion Paper, No. 12283. Haughwout, A., Lee, D., Tracy, J., van der Klaauw, W. (2011). Real Estate Investors, the Leverage Cycle, and the Housing Market Crisis. Federal Reserve Bank of New York Staff Reports, 514. Sá, F. (2016). The Effect of Foreign Investors on Local Housing Markets: Evidence from the UK. Centre for Macroeconomics Discussion Paper, No. 1639. Suher, M. (2016). Is Anybody Home? The Impact of Taxation of Non-Resident Buyers. NYU Furman Center, mimeo, February.